Phan Anh Backpackers Hostel i Ho Chi Minh, Vietnam: Reservér nu! 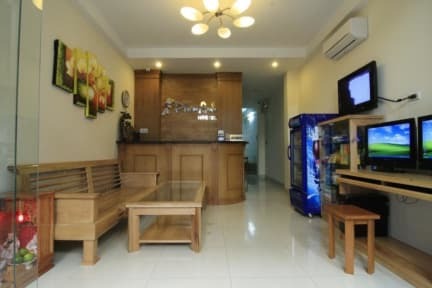 Phan Anh Backpackers Hostel is located in the heart of Ho Chi Minh City and backpacking area. The Hostel located on the Pham Ngu lao Str. There are many tourists attractive nearby: Ben Thanh Market, Sai Gon River, Notre Dame, Post office, Reunification palace, War museum, Banks (ATM), Booking offices, bars and coffee shops and shopping centers. 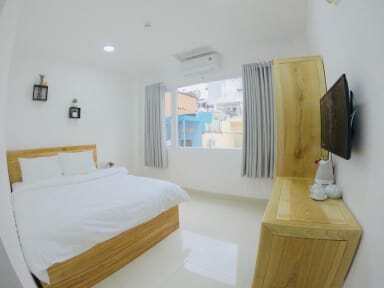 Phan Anh Hostel has cozy rooms, all the room has window with well and modern facilities such as: Elevator, Air condition, Hot water, Free Wifi in the room, Internet free, welcome drink including also have the common room with many games for you relax during the trip.